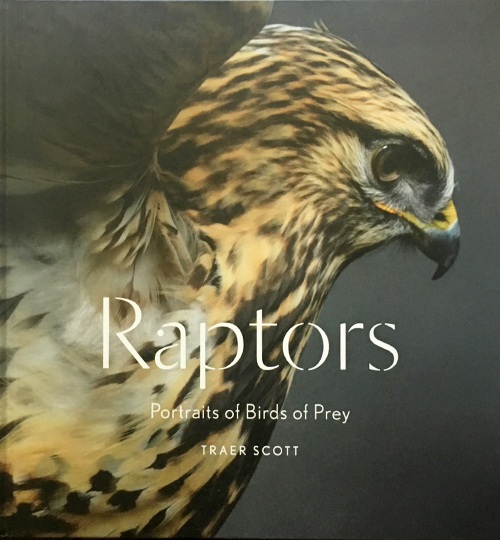 If you don’t cheat and read the captions and text, this new book offers a wonderful opportunity to test your raptor ID skills. “Raptors, Portraits of Birds of Prey” offers color photos of hawks, an eagle, a vulture, a kite, a Kestrel, and owls. The photographer/author, Traer Scott, appears to be fond of owls. There are 70 photos of 25 different raptor species. Photos is the technical term. These really are portraits. She has posed her birds against a plain black background, giving complete attention to these marvelous birds. The book is 9.25 inches square, the photos large and detailed. She brings the birds to life, personality and attitude on display. My favorite is the juvenile Black Vulture. This chick does not yet have the plumage of an adult, but its face, peeking out from its coat and hat of fuzz, is unmistakable. It is cute nonetheless. Ms. Scott is the author of eight previous books of photography of a variety of animals. The book is hard-bound, on bookstore shelves now for $19.95. Princeton Architetural Press is publisher.